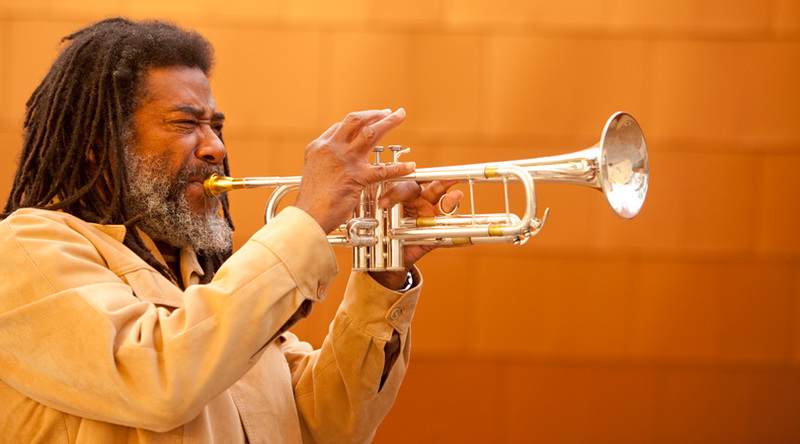 Wadada Leo Smith, one of the most spiritual and socially aware artists of this present era has reached a most prolific period in his career. During this time he has produced one album after the other on TUM Records and elsewhere that resounds with absolute raw vigour redolent of the horns that gave jazz its visceral energy—something Mr. Smith continues to radiate in his singular unabashed fashion. His gleaming, bronzed tone is broadcast from a horn sometimes darkened by social issues such as a history racial discrimination, economic depression and many others that plague the country he loves—the United States of America. Thus his playing has become sharper, more wry and sparer than it ever was when he was making waves as a force to reckon with in the 60`s. Now 54 years on there is a primeval tone in his voice as he continues to triumph over the human condition. His trumpet sings the blues in a manner that few jazz musicians playing today do giving it that edgy secular and spiritual soul that few artists after John Coltrane search for in music as in life. There is no frivolous gaiety in Red Hill, a Noir look at life in a series of almost visual metaphors. Listening to the music is like watching a documentary film made as if Cinéma vérité were unfolding before the mind’s eye and ear. With his trumpet-as-camera, Mr. Smith whips out lines as sharp and daring as lancets carved by wickedly sharp laser-beams. His tone is lean and yet muscular, tight and controlled and this has a rippling effect on the other players in the ensemble. Jamie Saft plays with controlled aggression stabbing and slicing at the keys of piano and the Fender Rhodes as it makes its odd and resonant appearance in the music; occasionally his darting runs and monumental arpeggios break up the spare musical topography. Drummer Balazs Pandi uses mallets to mute the rumble of his drums and cymbals making for an almost shadowy palette of colours. And the bassist Joe Morris rumbles away sealing the music like the proverbial glue that holds it all together. All of this naturally makes the music so compelling that it is almost too mesmerising and therefore cannot be resisted. With music such as this, naturally there is a tendency to decipher titles and this would be a grave mistake. Better to let their meanings and essences be shrouded in mystery so that they remain wickedly alluring. Suffice it to say that “Janus Face” for instance with its Rubato annunciations makes for some tumultuous improvisations; and “Tragic Wisdom” thunders with Joe Morris’ bass ostinato as Balazs Pandi carves the music into a roaring river of aural energy. Listeners can be prepared for bewilderment and constant wonder as these musicians make energised music that is at times introspective putting a finely honed musical rhetoric out there for anyone who cares about high art to enjoy. Much more is expected from this group after its maiden effort. Track List: Gneiss; Janus Face; Agpaitic; Tragic Wisdom; Debts of Honor; Arfvedsonite. 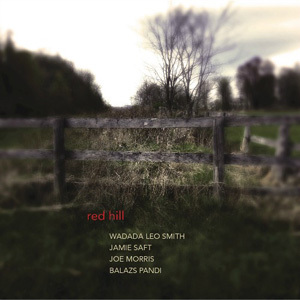 Personnel: Wadada Leo Smith: trumpet; Jamie Saft: piano, Fender Rhodes; Joe Morris: double bass; Balazs Pandi: drums.